Therefore, the challenge is to drive all these existing systems towards brownfield integration. In this session, Nandika will discuss how you can use the lean, enterprise-ready, high performing WSO2 integration platform to solve integration and innovation challenges that organizations face when carrying out brownfield integration. Nandika is an Architect in the WSO2 Enterprise Integrator team. He has provided technology consulting on customer integration projects using WSO2 Enterprise Service Bus and WSO2 EI. He is an elected member of the Apache Software Foundation and a pioneer member and committer to the Apache Axis2/C project. 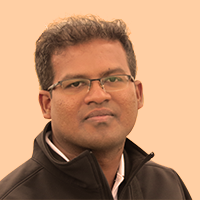 He has also actively contributed to Apache Axis2 and Apache Sandesha2/C and scripting language extensions such as WSF/PHP.